With a leather waterproof palm and exceptional thermal qualities, the Flexitog Hollowfibre Thermal Freezer Mittens FG660 perform exceptionally well in freezer applications or applications in cold conditions. Their waterproof palm is ideal for use in wet and windy weather, while the raw hide leather back ensures that the user is protected from mechanical threats. The Flexitog Hollowfibre Thermal Mittens are perfect for use in wintry conditions as they use a waterproof leather palm to protect from water and rain. Their special hollowfibre insulation traps air to keep the user warm by using their own body heat, making the gloves an ideal option for when the weather gets tough. 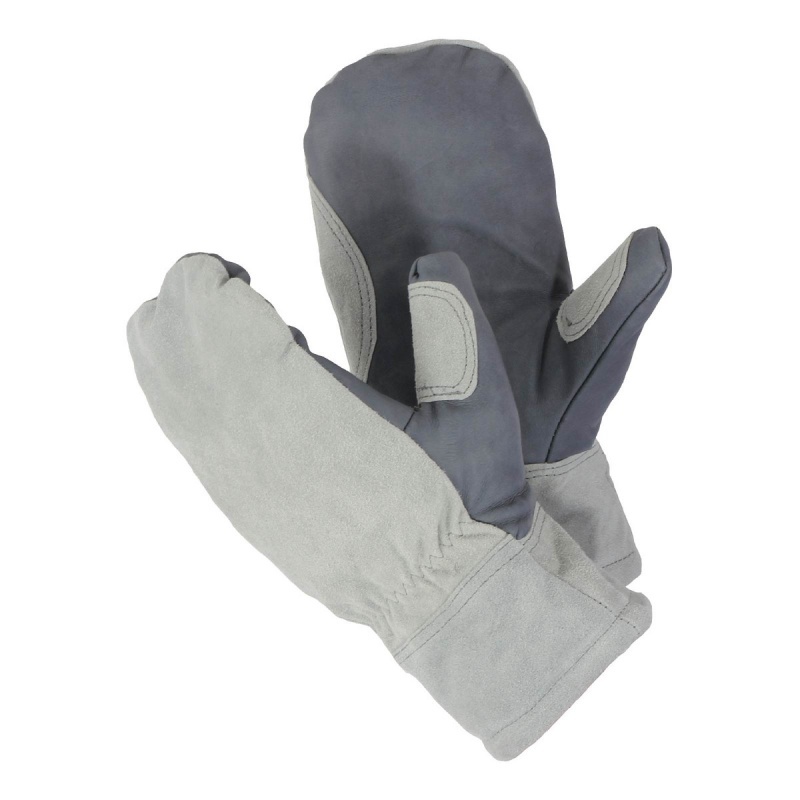 The Flexitog Hollowfibre Thermal Mittens are available in three sizes that should be suitable for most users due to the adjustable strap. To find your perfect pair, please measure the circumference of your palm and match the results to the table below.